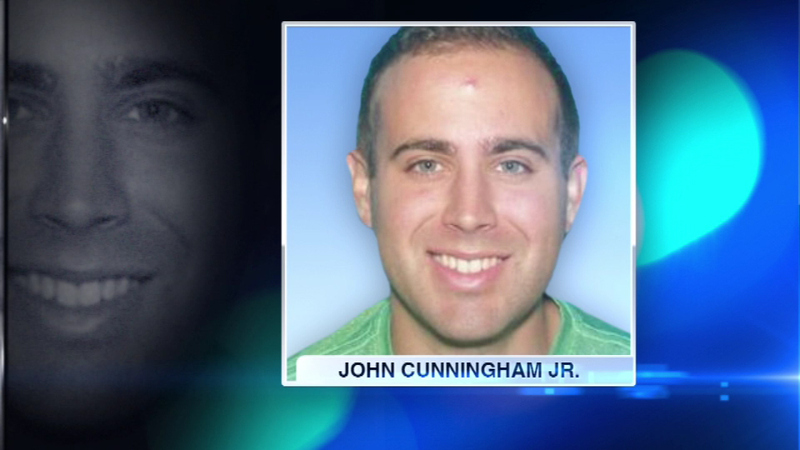 Remains found in Palos Park ID'd as John Cunningham Jr.
PALOS PARK, Ill. (WLS) -- The remains found in a heavily-wooded area of Palos Park on Sunday have been identified as John Cunningham Jr.
Cunningham, 27, had been missing for more than two months. He abruptly walked out of his family's Palos Heights home in late October, not far from the area where his remains were found. The medical examiner has not determined a cause of death, but no foul play is suspected. Cunningham's father said his son lived a full life by traveling the world, having fun, and still making it to church every Sunday morning.